I’ve always enjoyed playing casual games and about a year ago, I decided to pick up Hay Day. If you like comical farm animals, free in game currency and you have free time on your hands, Hay Day is the game for you. As a level 60 HayDay player, I love that Hay Day has awesome graphics, mini missions, in game gifts and gives you the option to watch short commercials to gain in game currency. Because of this awesome aspect of the game, I have never had to spend any real world money. For those of you that don’t know about Hay Day, it is a real time mobile and tablet game where you level up by producing goods to sell in your store, fulfilling truck and boat orders, and satisfying visiting neighbors that stop by to ask for a cup of sugar (or half of the carrots in your inventory). Let’s dive into the aspects of Hay Day and these are my top 5 beginner tips on how you can become an awesome level 60+ Hay Day player. First tip: Sell your goods at the maximum price. You can harvest corn in 5 minutes and then sell 10 corns for 72 coins. I’ve seen plenty of players sell corn at 20 coins. 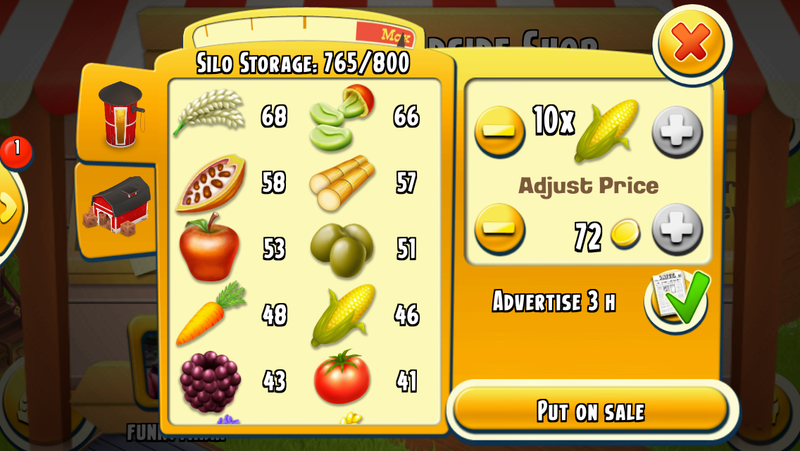 Because I’m selling the crops at their maximum price, I would be making 52 more coins than them. Moral of the story: every coin counts. Second tip: Time equals money and goods. Because this is a real time game, the amount of time you spend in the game will equal to your pay off. If you only play Hay Day once a week, you will progress slower than the person that checks in their farm every couple of hours. Because it takes your cake oven 2 hours and 33 minutes to produce a cream cake, you can check back in 3 hours to place another one in the cake queue and then you can sell the cream cake for 219 coins. Compared to the person playing once a week, you would be able to make about 13 more cream cakes at a 2,847 coins profit, which is a pretty decent chunk of money. Third tip: Know which goodies are harder to fulfill on orders and then have other players supply them for you. If your boat order is asking for 40 eggs, 40 corn and 12 sweaters, the sweaters will take the longest to produce. With eggs, you can harvest them from your chickens and with corn, you can harvest a batch each 5 minutes. Sweaters, on the other hand, take two pieces of wool to knit and takes 1 hour and 42 minutes to produce. If you need 12 sweaters, it would take a little over 28 hours to produce and most boat orders won’t stick around for that long. Therefore, fill the egg and corn orders and ask for help on the sweater orders. Fifth tip: Expand your horizon by connecting your application to Facebook and join a neighborhood guild. 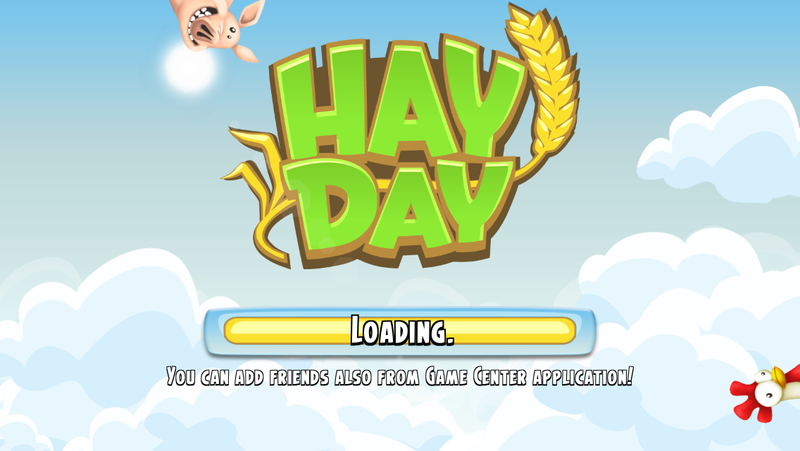 When you connect your application to Facebook, any friends that are playing Hay Day will be automatically added to your store and you’ll expand the number of store slots you have. You’ll also have better chances of purchasing valuable goods sold in friendly stores since you’ll be following that person. If you don’t want to annoy your Facebook friends with Hay Day updates, you can simply turn off the notifications and all will be quiet on the front. Next, join a neighborhood guild. In the neighborhood guild, you’ll connect with other Hay Day players that are looking for new partnerships. When you combine your Facebook friends and your new partners from your neighborhood guild, more people will be stopping by your farm, which increases the chance of someone fulfilling one of your orders. Pro tip: Have fun! It’s a great feeling when a game has magical abilities to make you laugh and smile. Enjoy yourself and hug your new, friendly farm animal friends. 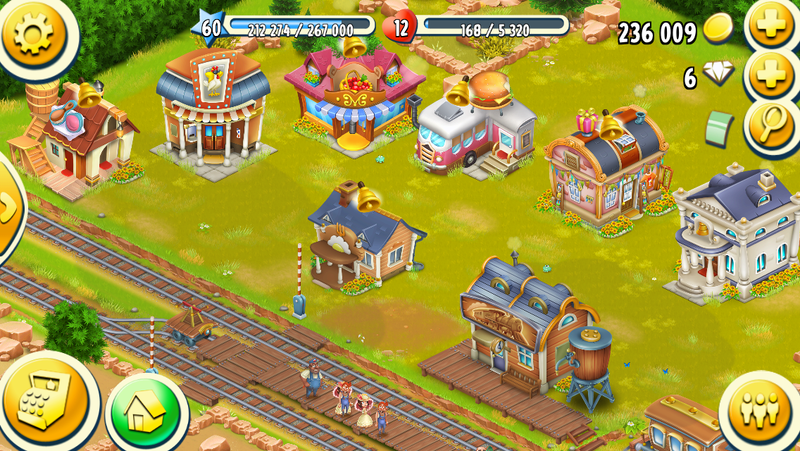 Hopefully, I’ve convinced you to play Hay Day and you can download the application here. This entry was posted in Articles and tagged goods, guide, hay day, level 60, player, supplies, tips. Bookmark the permalink.